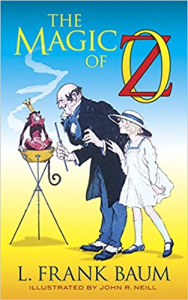 Join Tik-Tok, the Shaggy Man, and a host of other friends--both old and new--on an exciting, imaginative journey through the world of Oz. The fun begins in an isolated corner of Oz, in the small country of Oogaboo. There Queen Ann Soforth musters an unlikely army and sets off to conquer the rest of Oz. Meanwhile, a girl from Oklahoma named Betsy Bobbin and her companion, Hank the mule, are shipwrecked and washed ashore in the Rose Kingdom, a magical land of talking roses. There they meet the Shaggy Man, who is on a quest to rescue his brother from the clutches of the wicked Nome King. Betsy, Hank, and the Rose Princess join the Shaggy Man on his journey, and before long they meet up with Polychrome, the Rainbow's Daughter; Tik-Tok; and Queen Ann with her army. 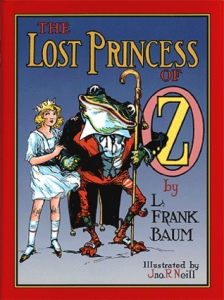 The rest of Baum's tale is filled with hairbreadth escapes, wild puns, and mystifying magic. Capturing all the fun are twelve color plates and nearly eighty black-and-white drawings by Oz artist John R. Neill, as well as a facsimile of Neill's full-color map endpapers of Oz and the enchanted realms that surround it--the first maps of Oz ever published! Tik-Tok of Oz is the eighth Oz novel and the first to bring a girl other than Dorothy to Oz. 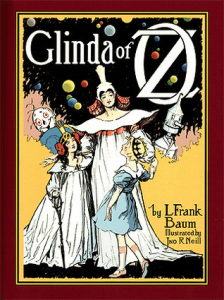 Now, in this beautiful reproduction of the rare first edition, a whole new generation can discover the enchantment and joy that have made the Oz series such an enduring favorite. 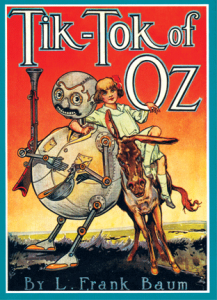 "Join Tik-Tok and friends on an exciting, imaginative journey through the thrilling world of Oz, complete with hairbreadth escapes, wild puns, and mystifying magic....An enduring favorite." --School Library Journal. This lavish reproduction of Oz.